The term bunion refers to a deformity of the forefoot in which there is an enlargement over the inner aspect of the metatarsal head of the great toe. This is a common and disabling deformity in which the patient experiences pain when wearing shoes. Occasionally intermittent numbness in the area of the great toe is experienced. Chronic thickening over the bunion and occasionally infection can result. Why a bunion develops is not completely understood. It is known that bunions can run in families and I often see grandparents, parents, and children with hereditary bunions. Probably the most important factor in the development of a bunion deformity is poor shoes. Over 90% of the bunion operations I do are on females. I believe the cause of bunions can definitely be attributed to poor shoes-mainly high heeled shoes with pointed toes. The goal of treatment of a bunion is foot comfort. In early bunion deformities, the use of soft leather shoes that provide a wide toe box to minimize pressure over the bunion is the treatment of choice. As the deformity progresses, surgery may need to be done to correct the deformity. There are many different types of bunion repairs designed for different foot deformities. Further discussion about surgical repair is completed prior to scheduling surgery. Following surgery, careful postoperative care is need in order to keep the toe and metatarsal in proper alignment. Frequent office visits are necessary to inspect the incisions and to re-wrap the foot in a corrected fashion. It is not usually necessary to be cast postoperatively and usually a compression dressing with toe strapping will be used for 8 weeks and the patient will use a bunion shoe to walk in during this period of time. The term hallux rigidus refers to a painful condition of the big toe characterized by stiffness and bone spur formation about the MTP (knuckle) joint. Other than bunions, hallux rigidus is the most common condition to affect the great toe. This condition may severely impair a person’s ability to walk or run. The cause is not truly known but it may be associated with prior injury, heredity, abnormal posture of the foot and abnormalities of bone and muscle structure. X-rays show bone spurs and sometimes a decrease in the cartilage space or joint. X-rays also help your doctor appreciate what might be the cause of your condition. These x-rays demonstrate bone spur formation especially on the lateral view. Based on the physical exam this person’s MTP joint is well preserved. Despite this the toe is stiff and painful when the toe bends upward. Conservative treatment involves shoe-wear modification, specially made shoe inserts and sometimes taping or padding of the toe. Medications are sometimes helpful to decrease swelling and improve comfort. Operative treatment is considered when conservative measures fail and entails different procedures depending on the activities of the patient, the severity of joint involvement and the cause of the hallux rigidus. Procedures vary from cleaning out the joint and bone spurs at one end of the spectrum to fusing the joint using plates and screws at the other end. Recovery from surgery averages 2-3 months with motion exercises and progressive weight bearing in a bunion shoe. Time off from work depends on the activity level and type of job. The term neuroma refers to a painful inflammation that can occur in one of the nerves in the bottom of the foot. Video Textbook of Foot and Ankle Surgery: Mann and Coughlin, M.D. The space (interspace) between the third and fourth toes is most commonly affected with the space between the second and third toes the next most commonly involved. Why neuromas form is not entirely clear. The most likely cause seems to be an irritation of the plantar digital nerve branches over a long period of time. Irritating factors such as faulty footwear, walking on hard floors, standing for long periods of time, and previous injuries may be a source of irritation. Prolonged irritation of the tissue in the region of the nerve can cause thickening of the nerve. The most common symptoms of an interdigital neuroma is pain localized to the bottom of the foot between the metatarsal heads. The pain often increases with walking and is relieved by resting the foot. The pain is usually well localized to the bottom of the foot, but will often radiate to the tips of the toes of the involved interspace. Occasionally there is a feeling of numbness in the distribution of the nerve itself. Also, occasionally patients complain of having the feeling of a marble or stone underneath the forefoot region or the feeling that there is something moving around on the bottom of the foot which when caught in the right position causes acute, sharp pain. Treatment with pads can give temporary relief as well as an injection into the involved interspace with cortisone and local anesthetic. Sometimes an injection is useful in determining which interspace is involved. Surgical treatment for a neuroma is an excision of the nerve. A foot block is used to numb the foot and a small incision is made on the top of the foot. This is an outpatient procedure and usually a patient is at the hospital for approximately two hours. A small bulky dressing is used right after surgery and then a smaller dressing used and changed on a weekly basis for 3 weeks. Patients do note decreased sensation in the area where the nerve formerly traveled. Lesser toe deformities are commonly associated with poor footwear and are seen more commonly in women than in men. They are also more common in older patients. Hammertoes most commonly involve the second toe. A hammertoe is a deformity in which the toe is curled with the tip bent downward. A mallet toe is a similar deformity that occurs at the tip of the toe. Pain develops as the toe strikes the tip of the shoe and often a callous develops. In some cases, an ulcer or an infection may result with continued pressure in this area. A hard corn can develop on the outer aspect of the fifth toe and is usually due to pressure from a shoe. A soft corn can develop in one of the web spaces between the toes and is caused by pressure of one toe against the bony prominence of another toe. A whitish, macerated painful area will develop that is exquisitely tender to touch. Treatment of lesser toe deformities is aimed at relieving pressure. If these areas can be padded and the pain relieved, then this conservative treatment will be adequate. Where padding is unsuccessful, utilization of shoes with only a slight heel with a toe box that is sufficient to keep pressure off the toes is recommended. Where pads and footwear are unsuccessful, surgical intervention may be considered. For hammertoes and mallet toes, resection of the bony prominence and straightening of the toe may relieve discomfort. Often a small metal pin is placed in the toe in order to reinforce the correction and is removed later in the office. Hard corns and soft corns are usually treated by removing the bony prominence and occasionally a metal pin is used to stabilize the toe. The purpose of a total ankle is to relieve pain in the ankle while still allowing the ankle move. Usually this type of pain is caused by arthritis, a condition that can take many forms and may go by many names, including osteoarthritis, post-traumatic arthritis, and rheumatoid arthritis. When an ankle is fused, the joint is removed and the tibia and talus heal together to make one bone. This results in good pain relief, but no motion at the ankle joint. When an ankle is replaced, the joint is removed and replaced with metal and plastic components. These components maintain joint motion. One of the major benefits of having motion at the ankle joint is that it relieves pressure on adjacent joints of the foot and ankle and we believe lessens the propensity for degenerative arthritis of these joints. Activities such as walking up or down a slope, walking on uneven ground, golfing, and hiking are more difficult with a fused ankle than with a mobile ankle. The S.T.A.R. Total Ankle is unique because of its design. It is the only ankle replacement of it’s kind being used in the United States. What makes it unique is its 3-part design, instead of just two parts like most ankle replacements currently available. It is an unconstrained mobile bearing device, which basically means that the ankle replacement mimics your natural motion compared to other types of ankle replacements. The S.T.A.R. ankle is the only 3-part ankle replacement system that is approved by the FDA. The FDA approved it for use in June of 2009. 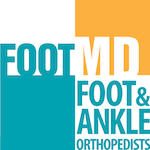 In addition, the American Academy of Foot and Ankle Surgeons (AOFAS) have deemed total ankle replacement as an acceptable alternative to ankle arthrodesis in the proper patient population. Drs. Dreeben trained with the principal investigator in the clinical trial that proved the effectiveness of the S.T.A.R total ankle. In the STAR study, the patients were chosen very carefully using strict selection criteria. A very specific list of indication and contraindications is listed below. While these are not set in stone, they certainly are the guidelines that have resulted in excellent outcomes for our patients. If you do not meet the criteria, for example, if you are overweight or have other issues, an arthrodesis is still a good alternative to ankle replacement. We offer that procedure as well. • Failed no less than six (6) months of conservative therapy including bracing and NSAID medication. Preoperative Evaluation During your preoperative evaluation you and your surgeon will review all of your records and existing x-rays, MRIs, and CT scans. Even if you have existing x-rays, your visit will include new standing x-rays of your ankle joint. Once you and your surgeon have decided that you are a good candidate for total ankle replacement, we will arrange a surgery date. While you are in the clinic, we will ask you to sign a consent form for your surgery and answer any questions that you may have regarding the surgery and your recovery. We may ask you to participate in a study about total ankle replacement, which involves answering questions and having additional testing completed. There is no additional cost to you. Your participation is optional and does not change your care in any way. We only wish to continue to improve on an already successful procedure, and you can help us with this goal. The Surgical Procedure Total ankle replacement is performed as an out-patient setting in La Jolla, CA. Depending upon the your age, medical conditions, whether you live locally or at a distance, as well as several other factors, determine if you may require a brief stay in the hospital. The procedure is performed in the operating room. You typically receive a general anesthetic. A nerve block is used for postoperative pain control as well. The procedure lasts usually less than 2 hours. After surgery you will go to the recovery room for a few hours and then to your regular patient room. You will have a nasal cannula (tube) delivering oxygen to you until you are discharged from the hospital to help with wound healing. Transfusions are not used as the procedure is done under a tourniquet. Sometimes added procedures accompany the total ankle replacement such as lengthening of a tight Achilles’ tendon, hardware removal, or fixation of weak bone. The first day after surgery is spent resting and elevating your leg. The most critical time of your recovery is during the first two weeks when we recommend limiting your activity to keep the leg elevated and allow the surgical wound to heel. On the second day after surgery the drain is removed. On the third day a pain catheter from behind your knee which numbs your foot and ankle is removed. Prior to surgery we will teach you how to control your pain and to teach you to walk with crutches, walker, or a knee roller, while not bearing weight on the ankle. Your ankle is usually immobilized for six weeks(2 weeks in a post surgical splint and 4 more weeks in a post surgical boot). You will not be able to bear weight during the first two weeks and will need to use crutches, a walker, or a roll-a-bout. The immobilization is utilized to promote wound healing and to protect your wounds. At the first visit to the office at two/three-weeks, sutures are removed and the post surgical walking boot is applied. You are then allowed to bear 50% of your weight from the time the wound has healed at 2 weeks, and then progress to 100% of your weight at 4 weeks. At six weeks following surgery the boot is removed and allowed to start ankle motion exercises. At this time, physical therapy is begun if required. Further follow-up after the six-week visit depends upon individual patients. Usually a six-month visit and yearly visit are recommended to check on motion and to ensure no other problems are developing. Necessary visits after surgery are at 3 weeks, 6 weeks, six months and yearly after that. Results and Complications The pivotal study performed under the direction of Drs. Coughlin and Mann demonstrated that results of the Scandinavian Total Ankle Replacement are very gratifying. The functional results regarding walking, standing, pain control, etc. were superior to ankle fusion. There were more complications with the total ankle than with the ankle arthrodesis but part of this is explained by the unfamiliarity of the surgeons in the study at the initial time when this total ankle was started. With time their familiarity with the procedure led to a marked reduction in complications and other operative problems. Scheduling an Appointment Should you wish to proceed with an evaluation at our La Jolla office, feel free to call (858) 624-7979 to schedule an appointment. Any radiographs, scans, or pertinent medical information will be helpful. Usually at least two visits are required prior to scheduling surgery. The complexities of planning the surgery, and determining whether you qualify for a total ankle takes some time and we want to make sure that you have all of the information and time to think about your decision. Likewise insurance authorization can be a time consuming process. Follow up appointments are necessary and required. If you will not be able to come to La Jolla for surgery and then expect to have your follow-up care done elsewhere. We will need to see you for follow-up in La Jolla, Ca. Minimum follow up is at 3 weeks, 6 weeks, 6 months, and 1 year after surgery. Find a shoe that fits your foot. When you are shopping for shoes, it is especially important to purchase shoes that fill well to avoid painful foot problems. The following guidelines, developed by the American Orthopedic Foot and Ankle Society, can help you. Have your shoes fitted at the end of the day when your feet are the largest. Stand while being fitted (this is when your foot is the longest and widest), and fit the shoe to the largest foot. Sizes vary among shoe brands and styles. Pick the shoe by how it fits your foot-not by the size marked inside. Select a shoe that conforms to the shape of your forefoot as closely as possible. There should be one finger’s breadth-about ½ inch-between your longest toe and the end of the shoe. For greatest comfort, the shoe should be no more than ¼ inch narrower than the width of your foot. The ball of your foot should fit snugly into the widest part of the shoe, without being overly tight, even if this means that your heel is slightly loose. While you are still in the store, walk around to make sure that the fit feels correct. Avoid buying shoes that fit poorly. Do not expect them to “stretch to fit.” Shoes that fit correctly do not need to be broken in. Shoes with a very high heel and a narrow toe constrict the foot and can cause pain and deformity. If you must wear high heels, try to select styles with a lower heel and roomier, preferably rounded, toe. Try to limit the amount of time you spend in high heels. For example, you might switch to tennis shoes for the office commute or lunchtime trip into town. It is ok to wear high fashion shoes intermittently just as it is to have a high calorie dessert; however just as daily high calorie desserts are not good for your nutrition so too is high fashion shoe wear not good for your feet. We are medical doctors (M.D. ), who are board certified in orthopaedic surgery, and have completed advanced fellowship training in foot and ankle problems.